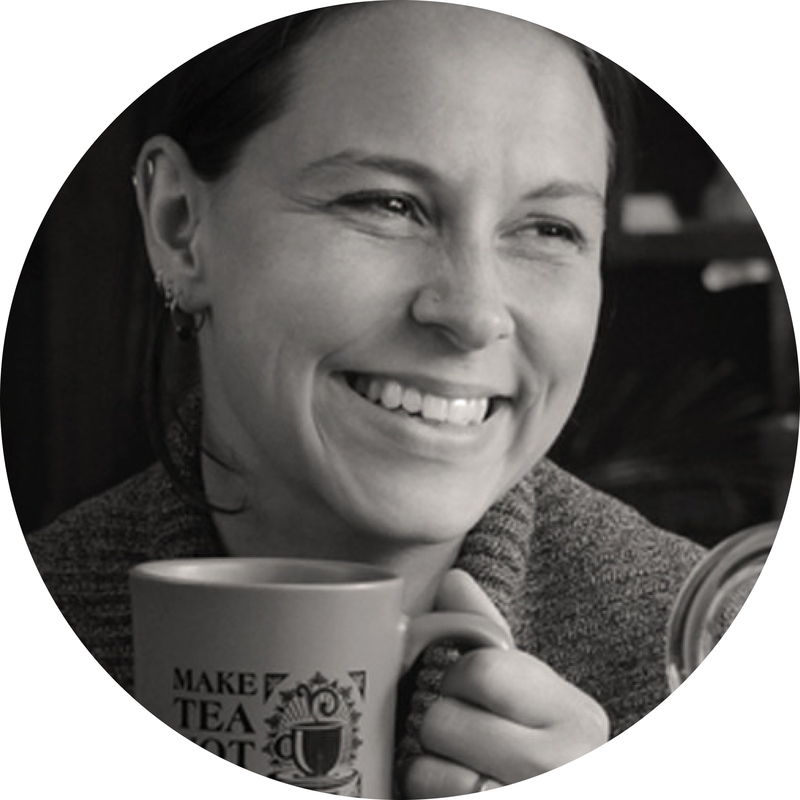 Following and formulating recipes with essential oils can be tricky. 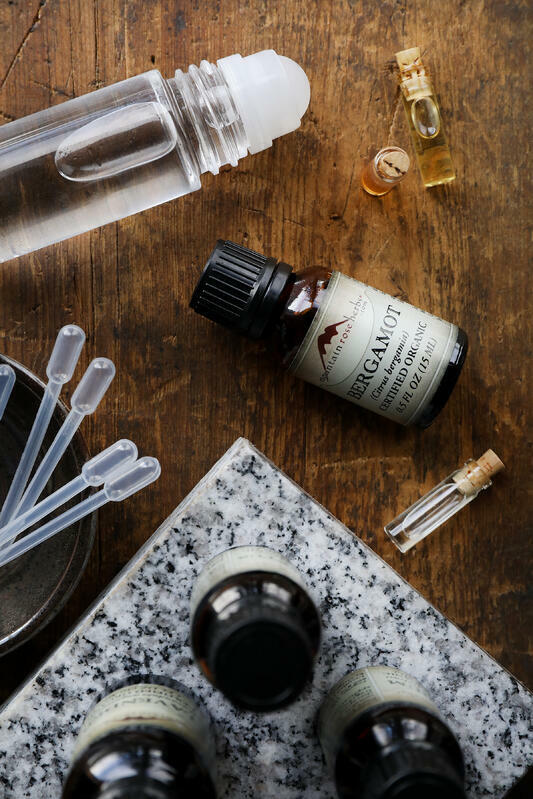 When crafting aromatherapy or body care creations for personal use, the potent nature of essential oils often means that only tiny volumes are needed, so it makes sense to measure amounts in drops. However, for those looking to make larger batches to give away or sell, counting out several hundred drops of liquid is simply not practical (drops are also not very reliable on a larger scale; see tips below). If you've ever wondered how to convert drops into standardized units like milliliters, teaspoons, and ounces, you aren't alone! We often receive questions from friends and followers frustrated by all the different ways essential oil recipes provide measurements. 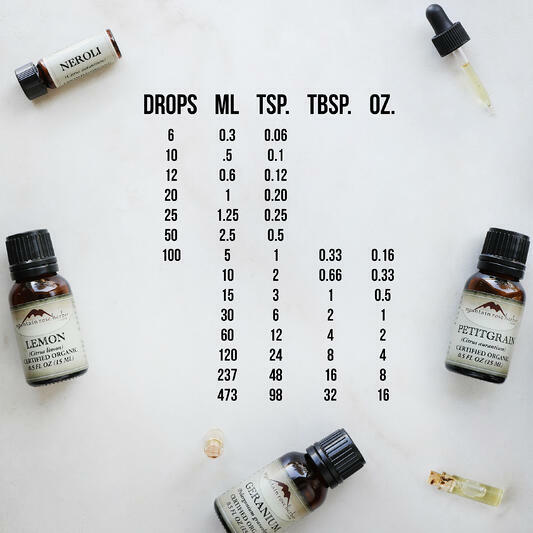 We hate to see a lack of information holding herbalists back, so we’ve put together some helpful tools to make measuring and scaling your essential oil recipes faster, easier, and more accurate! There are technically 29.57 mL in one fluid ounce. When working in recipes with total volumes up to four ounces, we tend to round this number to 30 mL (beyond this scale, those missing 0.43 mL start to add up and impact your results). Use a measuring tool that makes sense, opting for drops when needed and teaspoons when appropriate. There are approximately 20 drops in 1 milliliter. These measurements should be considered estimates. Not all essential oil drops are equal; differences in viscosity will impact the volume of an oil that holds together in a drop. 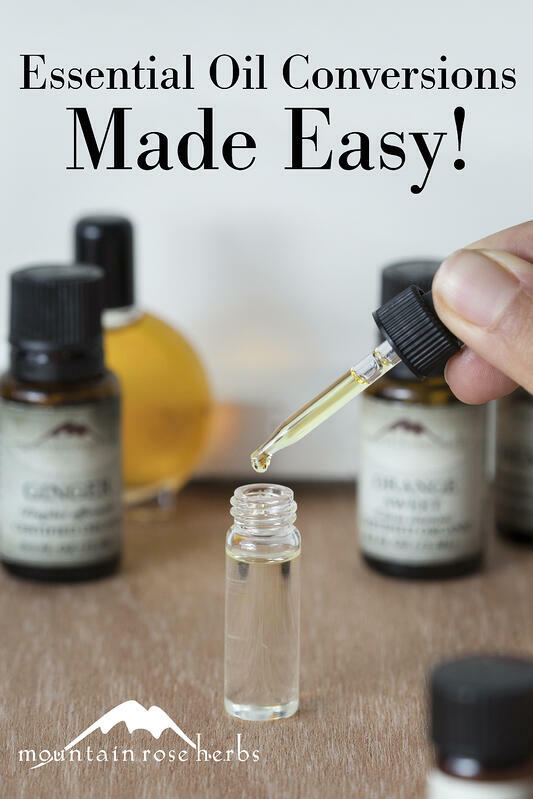 Need Help finding the Right Essential Oil to Carrier Ratio? Try Our Dilution Guide and Calculator!